Around 150 Irish language enthusiasts marched on Fine Gael’s headquarters today to protest at the proposal by party leader Enda Kenny to scrap compulsory Irish for Leaving Certificate students. 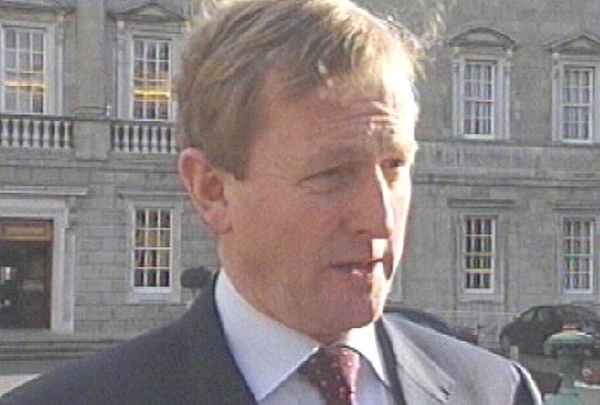 Mr Kenny was booed by the crowd as he emerged from the building on Upper Mount Street in central Dublin this afternoon. He then addressed them in Irish for several minutes. The march was organised by Conradh na Gaeilge, and included delegations from Ógra Fianna Fáil and Labour Youth. 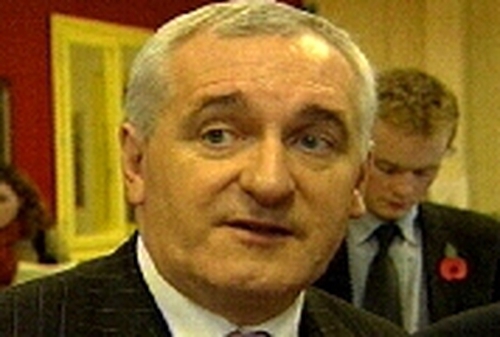 Earlier today, the Taoiseach, Bertie Ahern, released a statement criticising the Fine Gael plan. Mr Ahern said abolishing compulsory Irish in schools would lead to a drop in the number of people speaking the language, and described it as a regressive step. He said he believed the State should make every effort to ensure that more citizens could speak Irish. He added that while he was the first to admit he himself was not a fluent Irish speaker, that did not take away from his wish to have a greater fluency.